It's almost the end of Ramadhan and Raya Aidilfitri is approaching. Everyone must be busy preparing food, cleaning up the house and not to forget, the clothes! What are you wearing this Raya? Syanelle Couture is this online boutique that sells mostly shawls and sometimes, they release skirts as well. I've bought their tutu collection before. I wore it when I met Taylor Swift at her concert in Malaysia. Click here to read about the Meet & Greet which led to Taylor Swift dedicating Enchanted to me. This is post is about the last moments before The Husband and I tied the knot. From the morning of our aqad on 17th January 2014, to the very second before I walked down the stairs. 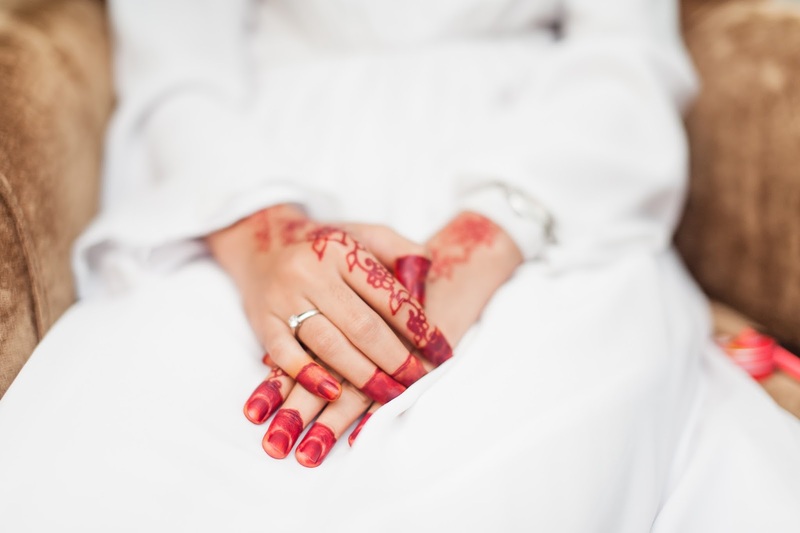 The Henna Night is a Malay tradition, although some are usually bigger than others. They would wear full songket attire and sit on the pelamin and it's like a mini-wedding on its own. But I opted for the simple, ladies night/slumber-party kind of event.